Emily Bronte's gothic tale of tortured love is brought to the stage in all its turbulent, passionate glory. 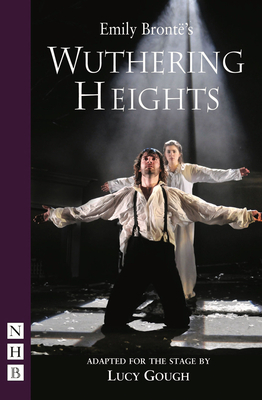 This exhilarating and vibrant adaptation of the literary classic brings to life the all-encompassing love between the taciturn, brooding Heathcliff and the emotionally unstable Catherine. Their destructive relationship is one of the most enduring love stories of English literature. Emily Bronte (1818 -1848) is best remembered for her only novel Wuthering Heights, now considered a classic of English literature. Emily was the second eldest of the three Bronte sisters - between Charlotte and Anne - who spent their entire lives in Haworth, North Yorkshire. She published under the pseudonym Ellis Bell. Lucy Gough is based in Aberystwyth. She has written extensively for radio and stage. She has been shortlisted for the BBC Wales Writer of the Year Award and the John Whiting Award. Lucy wrote for Hollyoaks (Channel 4) for ten years and for the BBC drama Doctors.